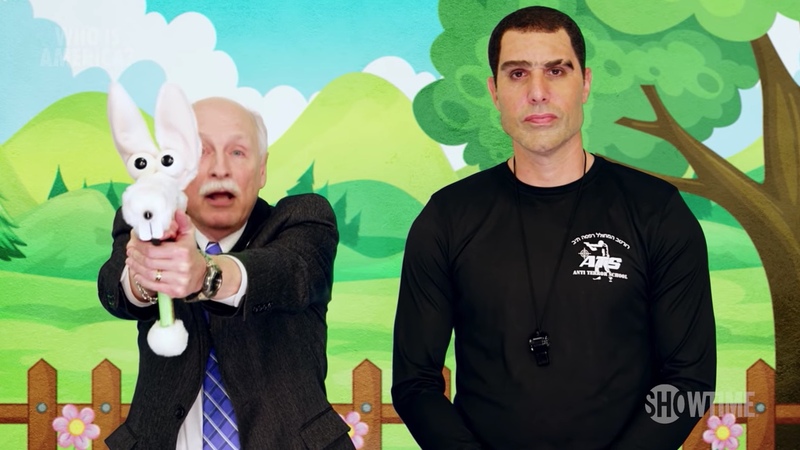 Recently the comedian Sacha Baron Cohen (the same creator of Borat, Bruno, and Ali G) released the first episode of his new Showtime series called Who Is America? 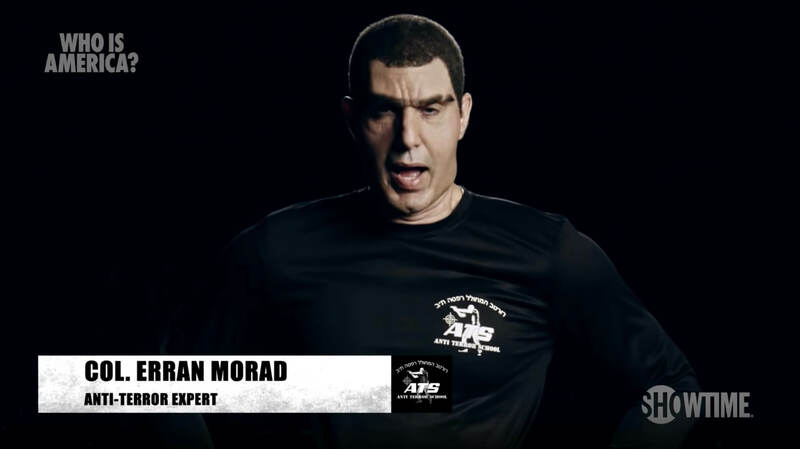 – where he poses as an Israeli "anti-terror" expert, Col. Erran Morad. The first episode has caused a lot of controversy, and for good reason: Several well-known gun rights advocates proclaim their support of arming children in school to "stop bad guys," even going so far as advocating for arming toddlers via a fictitious "Kinder-Guardian" program presented by Cohen's character. Cohen: "The only thing to stop a bad man with a gun is a good boy with a gun." Pratt: "Yeah, even a good toddler...(laughs)"
"I support the "Kinder-Guardians" program. We in America would be wise to implement it too. It's something we should think about, America, about putting guns in the hands of law-abiding citizens – good guys – whether they be teachers or whether they be talented children or highly-trained preschoolers." "The intensive three-week Kinder-Guardian course introduces specially-selected children from 12 to 4 years old to pistols, rifles, semi-automatics, and a rudimentary knowledge of mortars. In less than a month – less than a month – a first-grader can become a first-grenader." The public responses from these people in our opinion has been under-whelming to say the least. Mr. Van Cleave responded on Facebook. Mr. Walsh went on CNN to respond. The responses from both Mr. Van Cleave and Mr. Walsh have focused on the wrong thing. They are missing the forest from the trees. Both of them focus on the personal "us versus them" melodrama – how they were pranked, the fact that it was a setup, and that they were tricked into saying certain things. Doing so obscures the larger issue: Not a single one of them have publicly said "this is a bad idea" – the arming of toddlers in school – in their public responses. So we will: It is a bad idea. Yes, Cohen's victims were tricked into saying certain things on camera. However, they could come out later and say "hey, what I said was wrong – this is a bad idea – even if I was tricked." They have the option to set the record straight. And they haven't done so. Not saying so publicly taints the otherwise admirable efforts of gun rights supporters everywhere to protect our constitutional right to keep and bear arms. These people featured in Cohen's show have set those efforts back, not moved them forward. The fictitious "Kinder-Guardian" program is a bad idea. Preschoolers shouldn't be bringing firearms to school – period. And someone in our community needs to say as much, even if the most visible ones won't. P.S. As Andrew Tuohy points out in an excellent editorial about this same topic: "For all its foibles, the NRA has knocked gun videos for kids out of the park with its Eddie Eagle program, which does not attempt to “train” kids to use guns or even give them a positive impression of guns – just to reinforce the idea that guns should not be played with and that kids should not touch them and immediately seek an adult if they do find a gun. Even some of the most ardent anti-gun people have given Eddie Eagle the support it rightly deserves."